← FEBRUARY, MARCH, APRIL MUSTERS: So MUCH Happening, So little Time. Capitol of the Mysterious Roanoke Colony Revealed? 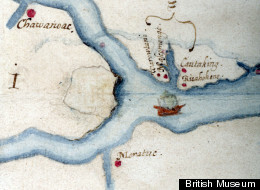 Mike Mankin sent me this VERY interesting article on finding the capitol of the lost Roanoke Colony. I know it’s a bit before our time but we’re a part of North Carolina so I figure it’s part of our history so to speak and it’s an excellent read. Thanks to Mike for the article. You may have to copy and paste the link to your web address area to access the article , just in case the link automatically doesn’t work. This link is to this blog. How do I get to the actual article please?